Jilda's last remaining aunt passed away recently and the family had the memorial service today. Aunt Betty had asked Jilda and I to play at her funeral and her daughter honored her wishes. The ceremony was short and simple. The rain had moved off to the north, and the sun peeped down throught the clouds from time to time. 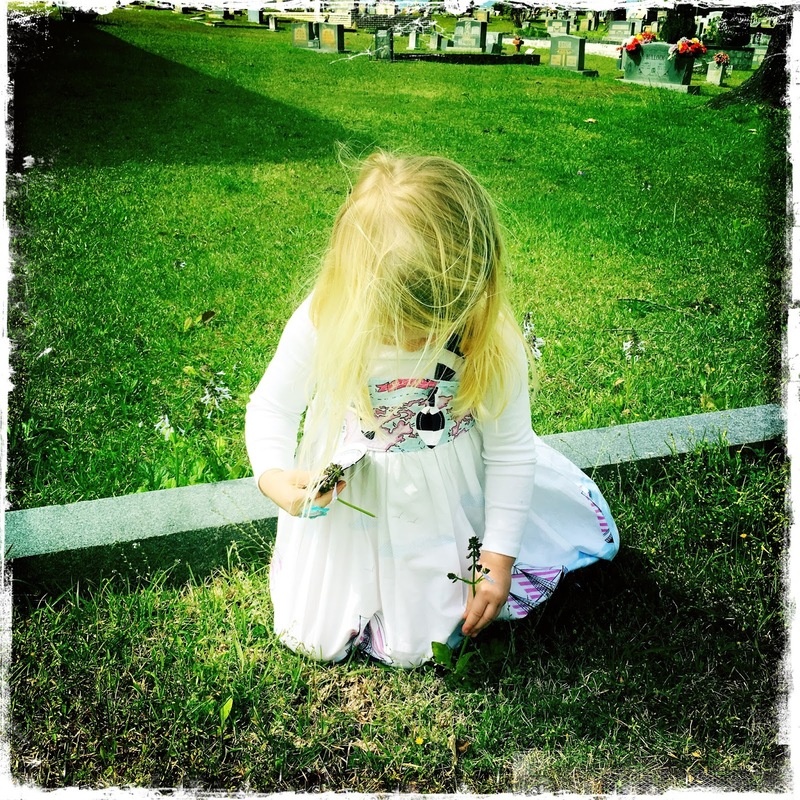 Before the service, I snapped a photograph of Aunty Betty's great grandaughter picking a bouquet of purple wildflowers for her grandmother's grave. That is a great picture, especially with the background story. What a special day to remember. Sweet little girl! That is a priceless picture and a priceless memory. I agree with Emma. Priceless. Good catch. It is good to have a sweet reminder of a sad occasion. The photo tells the whole story!! What a lovely photo...so much meaning in that quick moment you captured. I'm sorry for your loss. How nice that you could play for her.